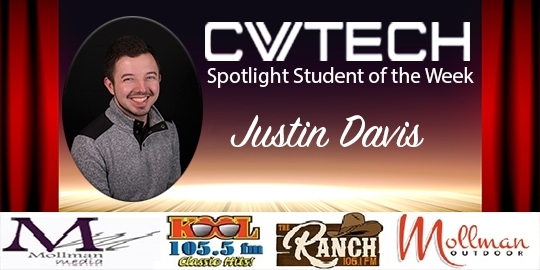 Today Let’s meet Canadian Valley Technology Center “Spotlight person of the week is Justin Davis, He lives in Tuttle, and loves studying “Digital Media and Technology , at CV Tech. Tune in Friday the 26th, to KOOL 105,5 FM, (the 7AM and 8AM News) to hear the story. A traffic accident involving a semi shut down part of U.S. Highway 62 east of Chickasha early this morning. No details are available, but the highway patrol reports the accident happened about 3:30. It was seven miles east of Chickasha at the intersection of CS 2910, also known as Red Bird Road. That's about one mile east of Tabler Y. The trooper on the scene said westbound traffic was blocked for about an hour and a half, and was re-opened about 5 a.m. No one was hurt in the crash. Gov. Kevin Stitt has signed a bill designating Oklahoma as a Purple Heart State. SB 232 was passed unanimously through both the state house and senate within the last few weeks. The bill was co-written by Sen. Frank Simpson, a navy veteran and Rep. Tommy Hardin, a marine veteran. Simpson said becoming a Purple Heart State shows the world the pride and gratitude Oklahomans have for the more than 1,300 soldiers in the state who have received the award. The U.S. Military has awarded the Purple Heart since World War I. It's presented to servicemen and women who have been injured and to the families of soldiers killed in the line of duty. The bill goes into effect Nov. 1st. Military veterans who may be having difficulties in obtaining the benefits earned from their time helping Uncle Sam will be able to get some assistance when representatives of the Oklahoma Department of Veterans Affairs stops in Chickasha. The agency's mobile service van will be at the Grady County DAV headquarters tomorrow. Officials will be on hand to answer questions and assist with paperwork from 9 a.m. to 3:30 p.m. Thursday, April 25th. No appointment is necessary. The Grady County DAV chapter is in downtown Chickasha at 6th and Chickasha Avenue. First responders at the Wichita Mountains Wildlife Refuge spent several hours of their Easter Sunday morning rescuing a man who got lost while hiking. Officials say the man and his nephew became disoriented while on a trail early Saturday. The nephew did have his cel phone, but was unable to get a signal to call anyone. With just a couple of bottles of water each and very little food, the two men ended up spending the night in the refuge under the stars. It got a little chilly with temperatures dropping into the mid 50's Sunday morning. Chris Jones is the chief of the Indiahoma Volunteer Fire Department. He said the nephew finally got a signal early Sunday morning and he placed a 9-1-1 call to the Comanche County Sheriff's Office. Jones said the men were found about 3/4 of a mile from a parking area but the older man was too weak to walk. The rescue crew had a use a back board to carry him out. The job was made more difficult with the rough terrain. An ambulance was waiting when they got to safety, but both men refused treatment. The Salvation Army which serves the Grady and Caddo county areas stays active throughout the year. In addition to helping needy families in the region, the local church answers the call to help with national and international emergencies. Part of its local work includes what Lt. David Brittle calls the Second Saturday of Service. It’s held each month with the assistance of volunteers from other churches. Brittle says USAO students also get involved in The Second Saturday of Service program. Other upcoming events include sending some local youth to the Salvation Army summer camp in Tahlequah. Crude oil on the NYMEX is $66.30 per barrel. London-based Brent crude is $74.51. Natural gas is to $2.45 per million BTUs. Gold is $1,274 and silver is $14.87. The parent company of Medi-Flight, an air ambulance service in Oklahoma, is closing operations in Chickasha and several other bases in the state. 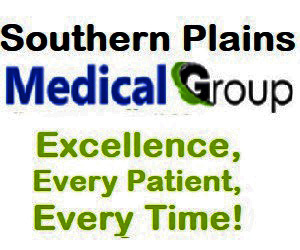 Air Methods is the parent company for Medi-Flight. The company is based near Denver, Colorado, and made the formal announcement Monday. In addition to Chickasha, the company has closed operations at Seminole and in two locations in Tulsa. In a prepared statement sent to KOOL/RANCH News, Air Methods stated that nearly 75 percent of their transports are Medicaid, Medicare, self-pay, and uninsured patients, which all together only pay 30 percent of costs. While the Chickasha base has closed, Air Methods officials say the area will still be served by AirKids 1 in Oklahoma City for neo-natal trips. There is another air ambulance service in southwest Oklahoma. Air Evac has bases in Duncan, Weatherford, and Altus. The last of three new members elected to the Chickasha school board will be sworn in tonight. Robyn Morse will be taking her oath of office during tonight’s board of education meeting. She ran un-opposed for a five-year term on the panel. Tonight's meeting was originally scheduled for earlier this month, but was postponed for two weeks. The school will elect officers for the 2019-20 school year, including a president and vice president. Doug Brown is the current president. The group is to consider whether to post the entire forensic audit reviewed at last month's school board meeting on the district's website. The board will also discuss board policy regarding the naming of buildings and facilities throughout the district. In a closed-door session, the group will review the status of a proposal for the Chickasha Senior Nutrition Center, and the possible sale of surplus school land. The executive session will also include discussion of the collective bargaining agreements with the Chickasha United Teaching Association and the Chickasha Association of Support Employees. The Grady County Sheriff's Office has re-opened. The business office was closed all day last Friday and about a half-day yesterday as emergency repairs were made after some storm damage late last week. The business office closing did not impact the 9-1-1 or dispatch services. The Chickasha High School robotics team turned in a good performance at the FIRST world robotics competition in Houston last week. Instructor Brandon Willis said the team had its best placing ever in the four years the team has qualified for the world event. Willis said the team won 6 of 10 games in its qualifying rounds, and ranked 24th out of the 68 teams in their division. For the first time in team history, they were part of the playoff round after being selected to join the 4th seed alliance. Earlier this month, the team was runner-up at the state FIRST robotics competition in Oklahoma City. If you enjoy gardening but have limited space, you might consider container gardening. It's a good option if you live in an apartment or small home. You still have a lot of choices with container gardening, whether its flowers, vegetables, herbs, and even some fruits and small shrubs. Beth Armstrong with Grady County 4H is a state 4H ambassador working with Grady County OSU Extension. Be sure to use quality potting soil from your local garden center and keep your containers fertilized and watered. The soil will dry out much quicker than traditional gardens or flower beds. Crude oil on the NYMEX is $65.70 per barrel. London-based Brent crude is $74.04. Natural gas is $2.52 per million BTUs. Gold is $1,275 and silver is $15.02. Storm damage at the Grady County Sheriff's Office has forced officials to close the business office there for a second day. Storms Thursday night damaged an air conditioning unit on the roof and the office was closed Friday. Sheriff Jim Weir said the work does not impact the 911 or dispatch services for the office. Weir is hoping the repairs can be completed today. A reminder that the intersection of 9th and Grand Avenue in Chickasha will be affected by a gas line repair project. Centerpoint Energy will be working to repair a gas line leak in that area. Southbound traffic on 9th Street off of Grand will be shut down for several days. Any traffic northbound on 9th Street from Country Club road will be detoured at Almar Drive. The work is expected to take about a week. In energy news, the number of rigs actively exploring for oil and natural gas was down both in the state and across the country last week. In Oklahoma, the rig count fell by two to 102. That number is also down from the same time a year ago. With the drop, the Sooner State falls to third nationwide for the number drilling rigs - behind Texas and New Mexico. Nationwide, the rig count fell by 10 to 1,012. That number is down by one rig from the same time a year ago, according to a report released by Baker Hughes of Houston. Each summer, the Oklahoma City Thunder basketball team joins YMCA programs across the state to offer what's called a Thunder Hustle camp. The Chickasha Area YMCA will be the first stop of the camp next month. Michelle Matthews is the manager of youth basketball operations for the Thunder and tells why Chickasha was selected. The one-day camp will be Thursday, May 30th and is for youth 6 to 14 years old. There are a limited number of spots available. There is a $65 fee for the camp. Sign up on the Oklahoma City Thunder website: www.okcthunder.com/youth basketball. Other camps are scheduled for the Lawton and Oklahoma City areas. Crude oil on the NYMEX is $64 per barrel. London-based Brent crude is $71.97. Natural gas is $2.49 per million BTUs. Gold is $1,280 and silver is $15.09.